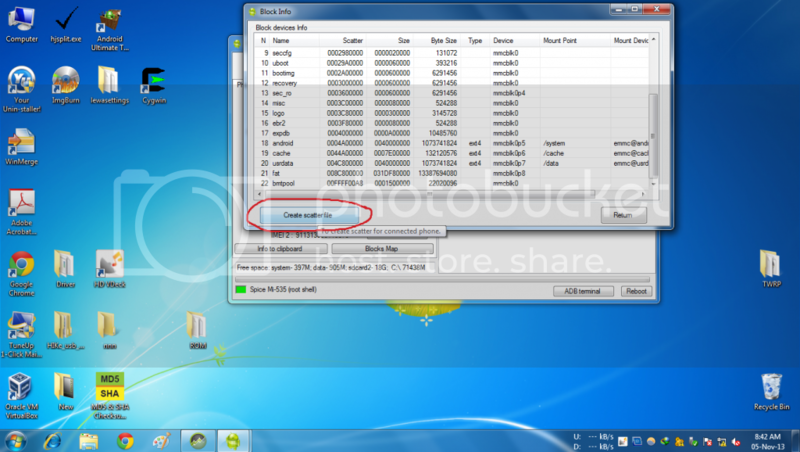 This is the very important because if anyhow you brick your phone then you can recover your phone using this backup through Spflashtool.Before doing this Please ensure that all the drivers are installed correctly on your PC.For drivers visit the blog..
First thing is to create scatter file. 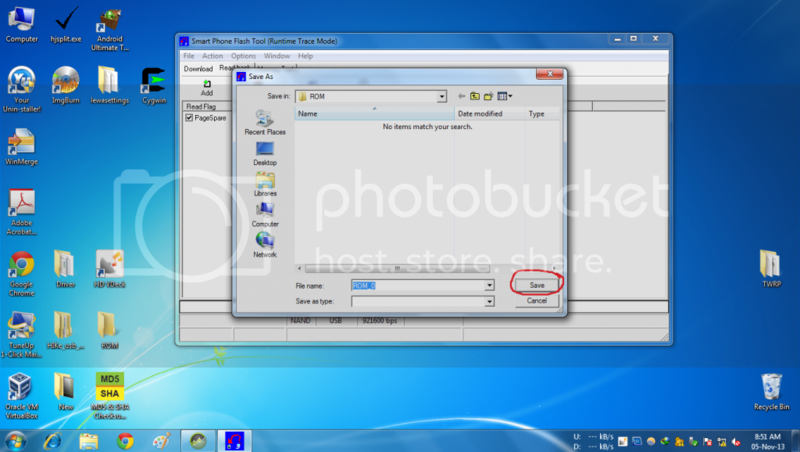 Create a folder named ‘’ROM” on Desktop. 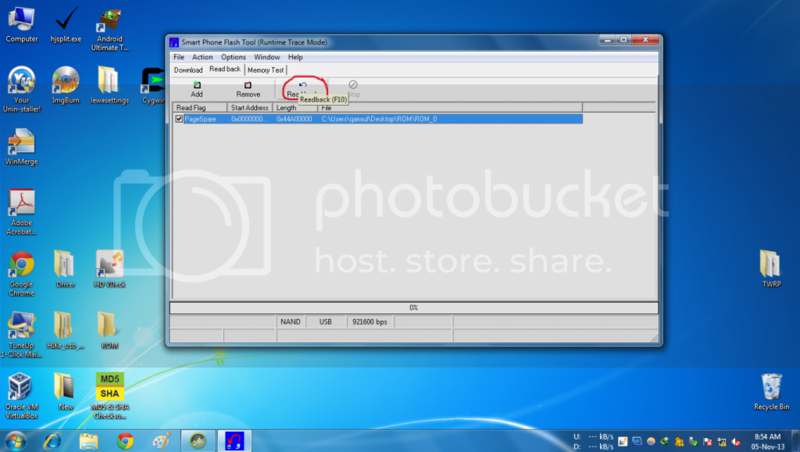 Open Mtkdroidtool Connect your phone to PC in USB Debugging enabled mode. Click on Blocks Map,then click on create scatter file. Second thing is to create "ROM_0". 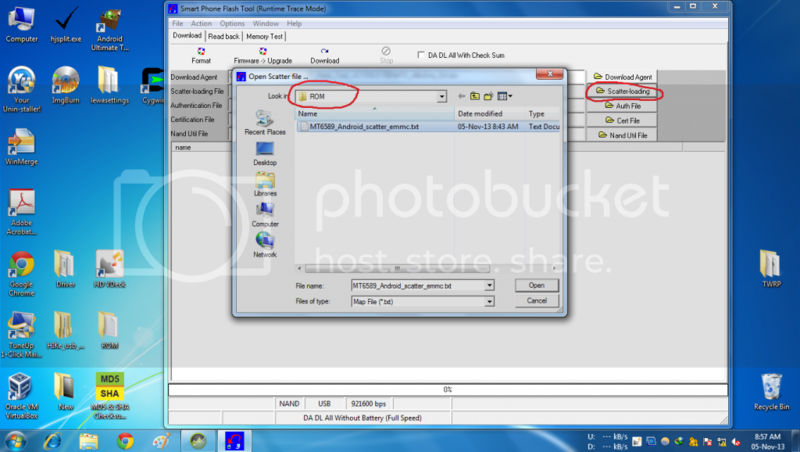 Copy Scatter files and paste on the “ROM” folder. 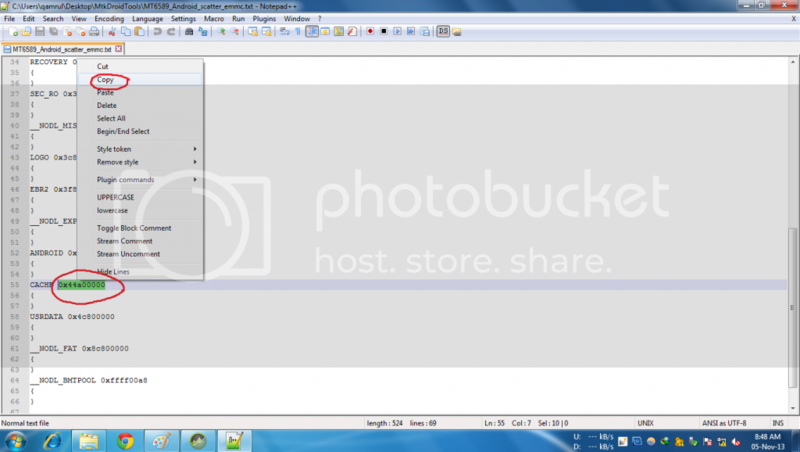 Now minimize mtkdroidtool and open Spflashtool. 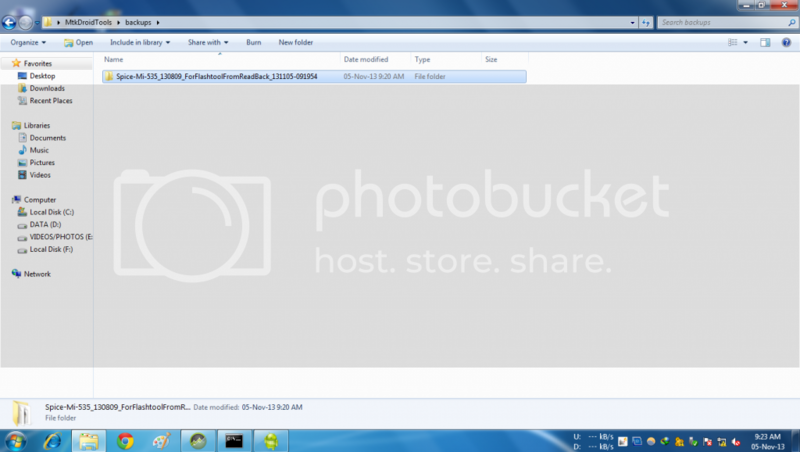 Select Scatter file from ROM folder. Open Scatter file with notepad ++ and copy cache size. Paste cache size under Length. switch off your phone and then connect to PC. Wait till read-back process complete and a green circle appears as shown below. Now close Spflastool and maximize Mtkdroid tool. Disconnect your phone and switch on. then connect to PC.Give root shell permission by clicking on root if root shell disappeared. Go to root,backup and recovery. Click on to process file ROM_from flash Tool. Select ROM_0 from ROM folder. Wait till backup process complete(keep patience as this process will take time depending on your pc speed,about half an hour to one hour). 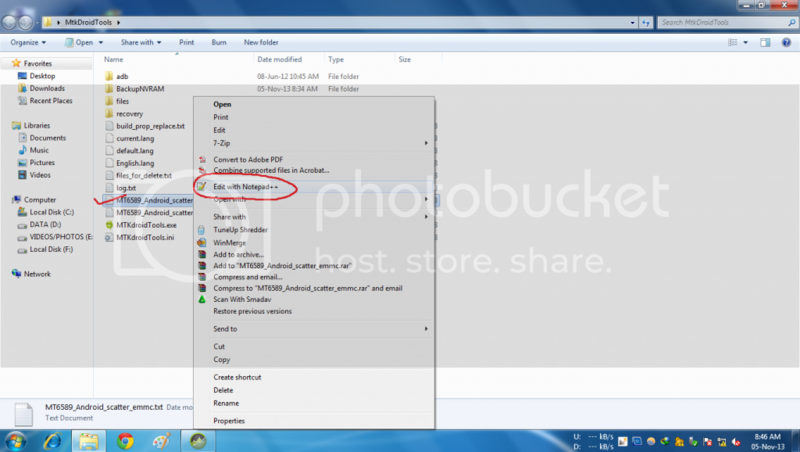 Now go to mtkdroidtools backup folder,there is a spflashable folder. Copy or cut all files inside it and paste in ROM folder. Rename non modified recovery as recovery.img.Save ROM folder for future use. can we take backup of our mobile without PC? if yes how?